We have special offers available on tickets for Wicked. Prepare to see Glinda the Good Witch and the Wicked Witch of the West in a whole new light after going to see Wicked, currently showing at the Apollo Victoria Theatre. 'The Untold Story of the Witches of Oz' has gripped the hearts of over 53 million people across the world, breaking box office records and winning more than 100 international awards. Introducing us to some very familiar characters years before they met Dorothy, the classic musical shows how Elphaba (The Wicked Witch) starts off as a clever, lively lady with green skin, while Glinda is superficial, beautiful and popular. The two, thrown together as roommates at university, become unlikely friends. But it's Elphaba who is chosen by the Wizard for special tutoring - expect goose bumps as she concludes the first half with the musical's most memorable number, Defying Gravity. During the second half our green heroine gradually becomes disillusioned as the Wizard's fascist regime is unveiled. Plot lines from The Wizard of Oz are neatly woven into the drama, giving us the backstories of The Scarecrow, The Tin Man, The Lion and those terrifying flying monkeys. Younger children will love the set and special effects, while older kids and teens will be thoroughly absorbed by the mythology and romance. For adults, the greatest pleasures come from in-jokes and the intricacies of the plotting. This is a rewarding big-budget show that left us utterly spellbound. 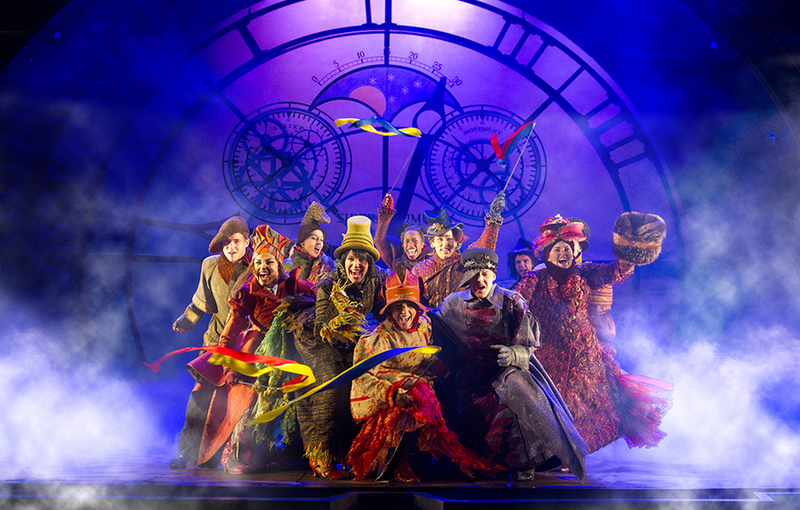 Offers are now available on tickets for Wicked, London. Discover what's on in London 2006 with our comprehensive guide to the best events. From theatre to art and music to sport, London 2006 has something for everyone - so read on to find out what London town has to offer. What are the best dining options near Wicked London? Wicked gyms, sporting activities, health & beauty and fitness. The best pubs near London Wicked. Wicked clubs, bars, cabaret nights, casinos and interesting nightlife. Where to have your meeting, conference, exhibition, private dining or training course near Wicked. From cheap budget hotels to luxury 5 star suites see our deals for Apollo Victoria Theatre hotels, including Park Plaza Victoria Hotel London from 84% off.